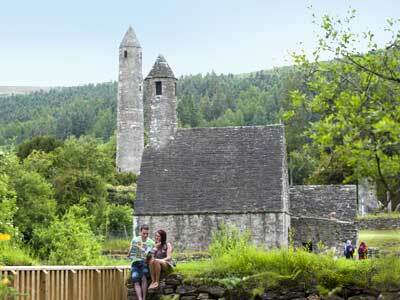 See for yourself the splendour of Wicklow with Darby O’Gill day tours from Dublin city centre. Experience an absorbing portrait of unparalleled beauty, the ruins & remains of an ancient city and a star of the small screen! 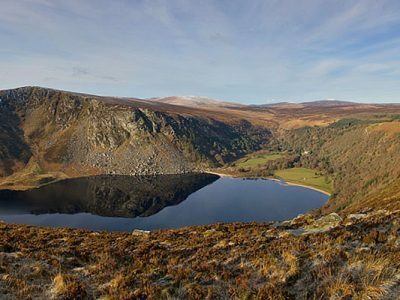 Drink in the views and sense a feeling of discovery in the midst of the Wicklow Mountains. Our family had the most spectacular time on the trip to the Cliffs of Moher. This is a must-see when... read moreOur family had the most spectacular time on the trip to the Cliffs of Moher. 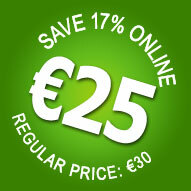 This is a must-see when visiting Ireland. We were very fortunate to have lucked out with weather, which made the sightseeing absolutely unforgettable! The length of the trip was a bit intimidating, but our amazing driver/guide Wes made sure the time spent on and off bus was very enjoyable. Wes provided so much interesting information about different counties and history of Ireland in general (and cheeky jokes), the guy needs his own podcast!! The bus was very new and extremely comfortable. We joined the tour to Cliff of Moher with our tour guide Mr. Wes on 4th April. Weather that day... read moreWe joined the tour to Cliff of Moher with our tour guide Mr. Wes on 4th April. Weather that day is too good to be true. I mean the sunny weather contribute a lot to the great trip. Spent an amazing day visiting several spots in the North.